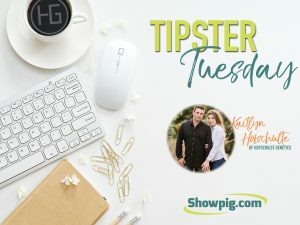 Seller Frequently Asked Questions - Showpig.com - Online Auctions, Industry Directory, Breeder/Seller Resources, and more! How do I book an auction? If you have previously hosted an auction with The Wendt Group, please contact your auction manager to secure a future auction date. If you are new to The Wendt Group online auctions, please complete our Book An Auction form or call our office at 614-403-0726 to visit with someone regarding the details of hosting your online auction. Are there other options if I’m not ready to have my own online auction? Yes! We have just the auction for you. 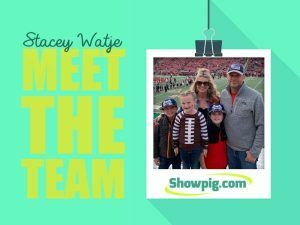 Click on the link below to learn more about The Open – Showpig.com and The Pig Planet’s features Monday online consignment auction. How do I post photos and pedigree information for my online auction? Tutorial video coming soon of how to upload your lot information and photos for your online auction. If you need further assistance or directions on how to proceed, please do not hesitate to contact your auction manager or call our office at 614-403-0726. What are my responsibilities in order for the auction to be successful? Successful online auctions are dependent on you, the seller, and us, The Wendt Group, Inc. and our staff, fulfilling our obligations to the best of our abilities. If you should have any questions or concerns about completing the responsibilities of the seller or feel that The Wendt Group is not holding up their end of the bargain, please feel free to contact us and we’ll make arrangements along the way to ensure the success and confidence of the online auction method. How do I secure delivery options for my online auction? Having delivery options listed on your online auction site is a vital piece to having a successful auction. Please determine delivery options 3-5 days prior to your auction. If you would like to coordinate and/or visit with a 3rd party hauler, please visit our Transportation page in the left hand navigation bar for various options! Do I need to provide health papers? Health papers should be supplied for any and all animals sold outside of your state. Animals sold within your particular state may or may not need health paperwork. Please consult with your local veterinarian for health paper rules and state regulations for interstate transport of swine. Where do I find more information regarding official swine ear tags? Click on the link below to learn more regarding swine identification and understanding swine ear tag requirements. Who do I contact if I have questions during the auction process? For technical support, pre-auction administration, consignor settlement questions, data entry corrections, advertising, fee schedules, pricing and reserves, auction day absentee bidding and auction day administration contact The Wendt Group staff at 614-403-0726 or via email at onlineauctions@thewendtgroup.com. 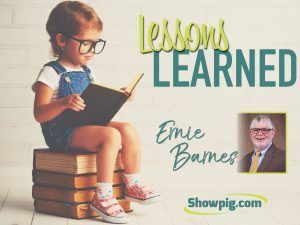 As a swine producer am I responsible for the Pork Checkoff? Yes, the Pork Checkoff is a mandatory program required by law. The Pork Checkoff rate is $0.40 per $100 of value when pigs are sold. 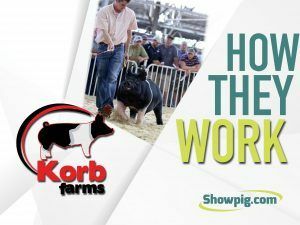 At the settlement of your auction the mandatory Pork Check off dollars will be deducted from your settlement on all pigs sold and the funds reported on your behalf and sent to the National Pork Board. More information on The Pork Checkoff and how these funds are used is available by visiting the link below. Does the auction platform track of all my history as a seller for the year? Yes, the new innovative auction platform will allow you to track your auctions, payments, and settlements for the year and into the future years as well. All information can be found by logging into your user account. Select My Account for all payments and purchases you have made. Select Auctions (at the bottom of the navigation/menu bar) under Admin to view each of your open, closed, and future online auctions. I invited three breeder friends to consign pigs to my auction; will they have access to my information? Only you will have access to your lots and information within the site. Our auction platform will allow multiple consignors to consign to the same auction with only the individual consignor or farm having information to their specific lots. The Open consignment auctions, held on select Mondays throughout the year, will have the same set up as well. Why do I have to sign an auction contract? Auction contracts are mandatory. A consignor will have the opportunity to have a contract for each event, or an annual contract with The Wendt Group for the calendar year and unlimited events. Your project manager will coordinate the terms and details of the contract and send it to you via RightSignature.com. Please note, your auction will not be opened or go live without a contract and/or funds will be held by the auction company until all parties in an auction have a signed contract. How do I know who has paid or who has outstanding invoices on my auction? Login to your user account and select Auctions (at the bottom of the navigation/menu bar) under Admin to view each of your open, closed, and future online auctions. Once you have selected the auction you would like to view, click on the Settlements tab at the top of the screen to review the payment status for all buyers within the auction.